← Have You Seen Bailey? 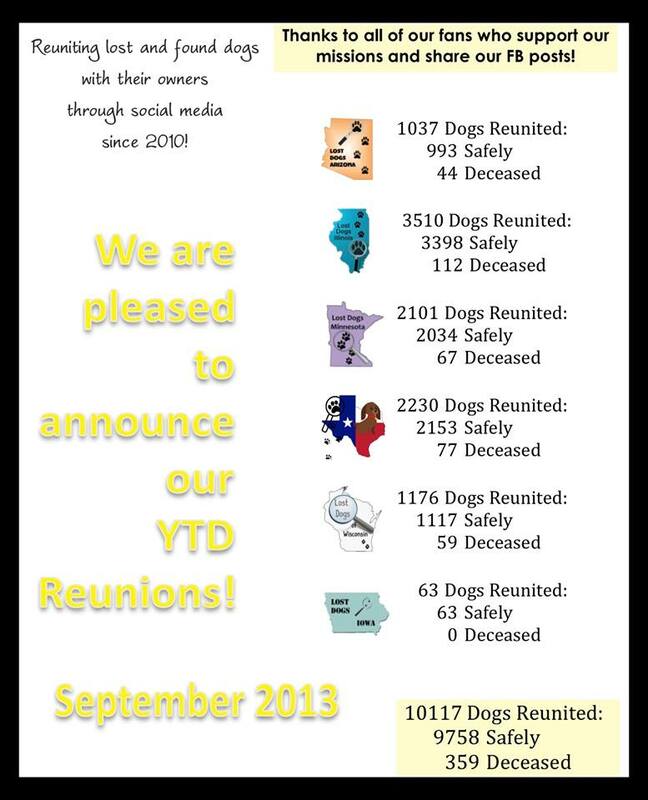 Image | This entry was posted in Our Organization, Statistics and tagged Lost Dogs of America, Lost Dogs of Wisconsin, reunions, statistics. Bookmark the permalink.